Insomnia or sleep disturbance is a harmful condition. It may lead to some serious health problems, so you would better fight it. And the best thing to help you out is an essential oil. Probably any of us was confronted with sleep disturbances. It can be the result of overwork or strong feelings, sedentary lifestyle or malnutrition. It helps in adaptation to the change of day and night. Rhythm sleep disorder or lack of sleep for several days negatively affects human body. There is a loss of mental clarity, reducing the rate of reaction, deterioration of health, etc. Constant lack of sleep leads to excessive fatigue, which affects health and well-being. Prefrontal cortex (understanding the situation, solving problems). The lower cerebral cortex (plays an important role in mental activity, for example, when performing mathematical calculations). Thalamus (controls the level of general activity and attention). Let us discuss one of the most popular and effective ways of improving the quality of sleep – using essential oils. Nowadays, there are more than 2000 sorts of essential oils. These oils are usually taken from roots, leaves, flowers and fruits of different plants. These parts, let us say, accumulate the energy of nature, thus are able to have an impact on human health. The amount of aromatic oil is different for various herbs: from 0.1% to 4%. To get it all out of a plant, it is distilled with steam. The medicinal properties of essential oils have an outstanding effect on a healthy and restful sleep, and they do not provoke undesirable consequences arising in courses of drug therapy. The effectiveness of essential oils must be accompanied with a healthy lifestyle. First of all, make sure your brain rests in the evening. Emotional excitements should be minimized; you ought to reduce mental activity and physical stress. When performing an aromatherapy session before bedtime, it is nice to sit or lie down so that the spine remains straight. Let all your thoughts melt away and dream for a few minutes. Add some calm music, if it makes you feel better. 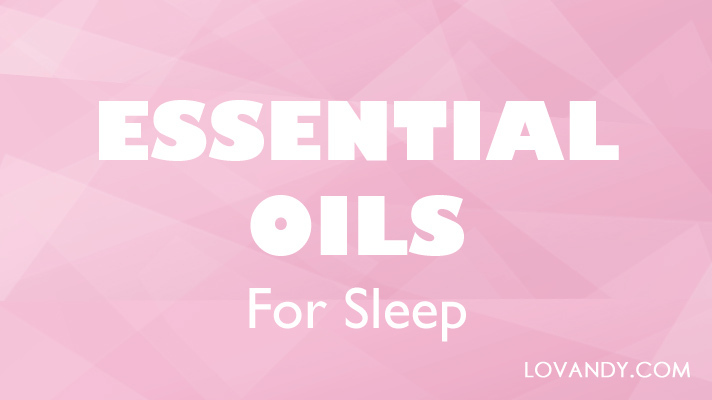 There are many different ways of using essential oils for sleep improvement. The most popular are massages, diffusers, aroma lamps and baths with oils. Regular massage gives a nice effect: gentle touches in combination with the healing properties of essential oils provide mental and physical relaxation, give a deep and full sleep. After a massage usually comes calmness and drowsiness, so the ideal option is to perform it at home before going to bed. If you visit a beauty salon for massages, do not worry. It has a long aftereffect, up to several days. Take a shower before the massage. After the procedure, it is not recommended to wash for 8-12 hours to prolong the healing effect of essential oils. 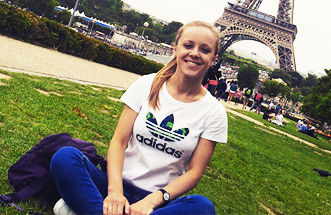 During the whole course, drink more water, as massage helps to purify the body of toxins. Of course, it is better to take an aroma bath before performing a massage. Bright light in the bathroom is not needed. Use odorless candles instead of electric lighting. You may turn on some soothing music or nature sounds. It is a great way to prepare the body and mind for a night sleep. Choose the fragrance that you really like. Essential oils have a different effect on different people. Instead of a hot bath that tones up rather than relaxes, try a warm one. While the bath is being filled, add 2-3 drops of the selected oil. Essential oils do not dissolve in water, but you can mix them with milk, cream, alcohol or honey before adding. This way, oil will not cause skin irritation or burns. Take a bath for 5-10 minutes. After a bath with essential oils, it is good to apply talc on the body. It adjusts the temperature well and does not allow your skin to overheat in sleep. In addition, talc will help keep the feeling of freshness for the whole night. We will discuss what oils are best for sleep later. Just pick the one that fits you best (and has the nicest smell for you) and mix with some basic oil (olive, for example); then apply on hands. Before going to bed, gently massage your face, neck, shoulders and feet. Ask someone from your relatives to give you a general massage. Aroma massage will help to cope with insomnia, and will be a good anti-aging procedure. Put some essential oil in a diffuser or apply it on your pillow so that it will affect your body for the whole night. Remember to use no more than 4 drops, as even the oil you like might be disturbing if used for too much. You may combine different oils, as long as you like the smell. Therefore, which ones are best for fighting insomnia? Let us find out! As we have mentioned, there is a huge variety of essential oils. Almost all of them are useful for your health equally, but some have the nicest effect on sleep quality. Before using any essential oils, make sure that you are not allergic to active ingredients. If it is your first time performing aromatherapy, do it on Friday night. If the chosen oil does not fit you and only makes you feel more exhausted, you will have weekends to try another one. Use only one oil at a time; do not try to create complex mixtures at once. After all, you do not know how each of the components will work on you. When buying essential oil, make sure that it is pure and not some aromatic mixture. Be careful when applying essential oils on skin. Often, pure oil can cause skin irritation and even burns. Always read instructions. Lavender mostly grows on foothills of the Mediterranean. Every summer in these amazing landscapes, huge areas of meadows are covered with fragrant lilac carpets. This is how lavender blossoms. This plant has long been considered an excellent remedy for many diseases. Essential oil of lavender was widely used for bathing procedures in ancient Roman baths and aristocratic dwellings. Today, lavender essential oil is produced in many corners of the globe and has a well-deserved popularity among the population of our planet. By the way, for the production of just one gram of this oil, ten kilograms of raw green materials are required. Lavender oil is widely used in not only medicine, cosmetology and perfumery, but also even in cooking. Lavender oil calms the nervous system, improves the cardiovascular system, destroys pathogens, including viruses, improves digestion and kidney functions. And of course, there is no better remedy for insomnia. It is enough to put a few drops of lavender oil on the working surface of the aromatic lamp to saturate the bedroom air with a peaceful, positive and very pleasant light aroma of flowering alpine meadow. You may use lavender oil in baths and massages, which we have discussed before. Feel free to experiment with quantity and mixture, but do not use too much. To achieve the best result when sleeping, apply drops of lavender oil on each side of your pillow. This way you will feel the pleasant aroma for the whole night. If you have headaches or serious stress, put some oil on your temples and rub gently. Your blood circulation will normalize and the sleep will be the most unconstrained. Cedarwood essential oil is obtained from the wood and young shoots of the Himalayan and the Atlas cedar, using the technology of distillation with water vapor. The woody aroma of this oil is very pleasant and tempting. It recalls the expanses of the forest, calms you down after a hard day at work, relaxes the body and dips mind into a cozy atmosphere. The best way to use cedarwood oil is to take a bath before going to bed. Add 4-7 drops to warm water, turn on a pleasant music and relax. If you find the aroma extremely nice, put it on your pillow or mix with lavender inside of a diffuser. Peppermint oil is extremely useful in overcoming regular headaches. It has a unique effect of both refreshing and relaxing. You may use it in all the named ways. However, the aroma of peppermint might become too pungent, if used for too long. Therefore, be careful with the amounts. It is best to take a warm bath with a few drops. Thyme is known for its immune stimulating properties. If you caught a cold, or it is rather rainy outside, perform a massage with the essential oil of this thyme. It would also be nice to add a few drops to your bath. Of course, you may leave some thyme essential oil in diffuser for a night. Then, you will wake up in the morning, being full of energy and feeling extraordinary well. Patchouli essential oil is often used in cosmetology for its skin rejuvenating effect. Therefore, if you put some drops on face and neck before going to bed, your skin will be much more healthy and soft when you wake up. In addition, patchouli is useful for sleep, as it helps the body restore after a hard day. There are much more different oils, beneficial for your mental and physical health: essential oils of sandalwood, rose, geranium, neroli, jasmine, marjoram, chamomile, bergamot, valerian and passionflower. If you do not sleep well, use the help of juniper, myrrh, cypress, mandarin and orange oils. When your sleep is restless, apply chamomile, neroli, lavender and incense. The oil of marjoram helps to overcome insomnia with indigestion. Essential oils are the remedy Mother Nature gives us almost for free. They have a powerful healthy effect and do not cause any complications (as some drugs do). Use any of thousands of aromas to improve your sleep and help you relax after a stressful day. Tell us about your favorite oils and their combinations!